Anyway. I am now on board with the rest of the world, sharing old-timey photos on Thursdays, and thought I’d a) bring it back to the blog and b) make it Christmassy to fit with the overall theme of the month. 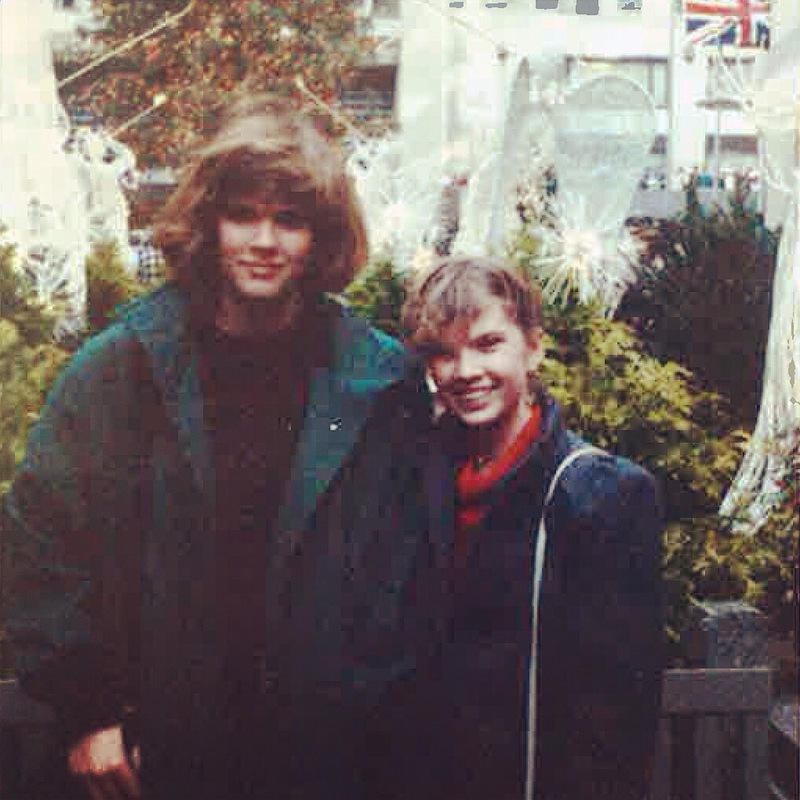 Eileen (right) and I near the Rockefeller Center tree, probably in 1988. I find it kind of funny that Rockefeller Center looks pretty much the same at the holidays now as it did 25-ish years ago. Other than upgrading the tree to LED lights, there don’t seem to be a whole lot of changes. Can’t say the same about Eileen and me, though. Which is a good thing. I didn’t really benefit from bangs, and… well, does she have a perm? Or just some serious curling iron action? Worth noting about this photo — it’s been re-cropped into a square because I instagrammed it in order to put a filter on it and make it (slightly) less crummy-looking — but the size and overall quality of it suggest it was probably taken with my delightful Kodak disc camera… which was basically the film equivalent of early cell phone photos: grainy, dark, terrible. I’m as glad technology evolved as I am that I grew out my bangs. Sarah, this photo ages me … wonder if your Mom feels the same way ! Wow. This is a long-ago memory!! I, for one, am glad Rockefeller Center (other than lighting modernization) has stayed the same. It is a timeless beauty — so hard to improve upon. Stop with the crummy! You were great for the time – at the time. And are now!